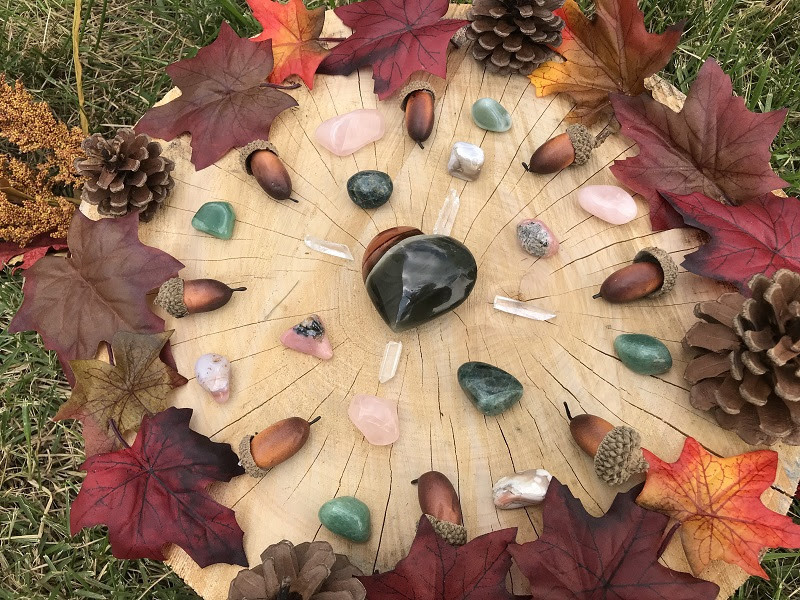 Making a crystal grid for gratitude is a special way to show appreciation for the blessings you have received as well as promoting a sense of love and thankfulness. While holding the intention of gratitude, you can place any crystals in the grid and even incorporate gifts from the Earth as well. Your gird can be set up in your personal sacred space or even a family room to enhance feelings of gratitude and positivity during social gatherings. Green Aventurine (Heart Chakra): Develops deeper understanding and appreciation of nature; Brings positivity, new growth and opportunities; Assists with embracing change; Symbolizes luck and abundance. Rose Quartz (Heart Chakra): Promotes a strong energy of love and appreciation; Opens our Heart Chakra to receive all forms of love and enables us to send that love and gratitude out into the Universe. Botswana Agate (Root Chakra): Reminds us to be genuine in our lifestyle and have compassion; Brings in universal energies to promote unconditional love; Provides balance and stability; Shifts our focus to the “big picture” and allows us to appreciate what truly matters. Rhodochrosite (Heart Chakra): Represents selfless love and compassion; Enhances optimism and encourages positive attitude; Aids us with recognizing the “silver lining” and being grateful for blessings in disguise. Apatite (Throat Chakra): Promotes positive expressions of gratitude; Reminds us to focus on what we have in the present moment and to not be distracted by the past or the future. Clear Quartz (all Chakras): Amplifies intention and energy. Heart Shaped Petrified Wood (Root Chakra): Connection to the Earth; Enhances deep roots and stability; Symbolizes love and gratitude for Mother Earth and all of her blessings. 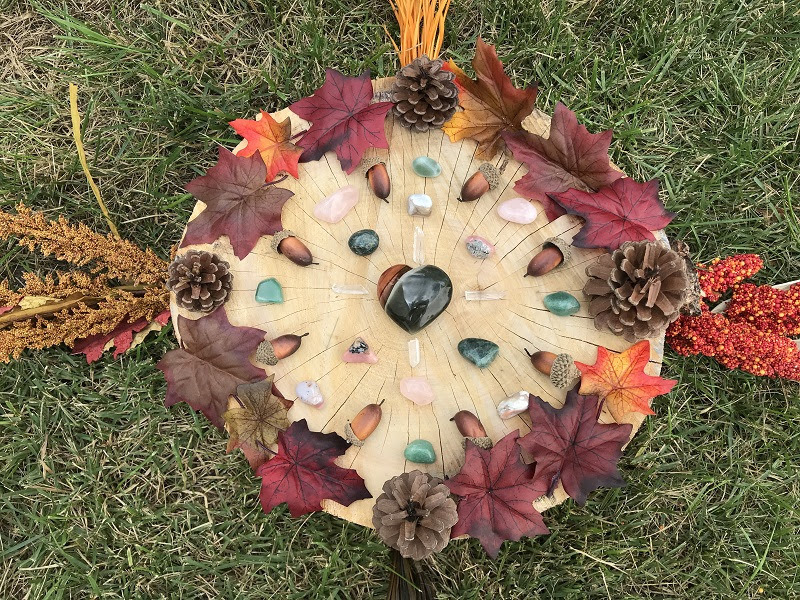 I also chose to incorporate gifts from the Earth to symbolize connection to Ancestors (tree stump grid base), potential & abundance (acorns), growth & renewal (leaves/greenery) and Enlightenment (pinecones). Take a few moments each day to sit with your gratitude grid and reflect on your blessings, big and small. Spread love and appreciation to not only the loved ones in your life, but the universal energies that connect us all.